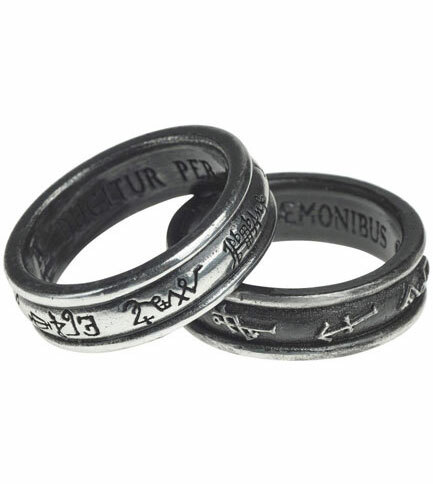 These are two rings sold together as a pair that can be separated and shared by by two. 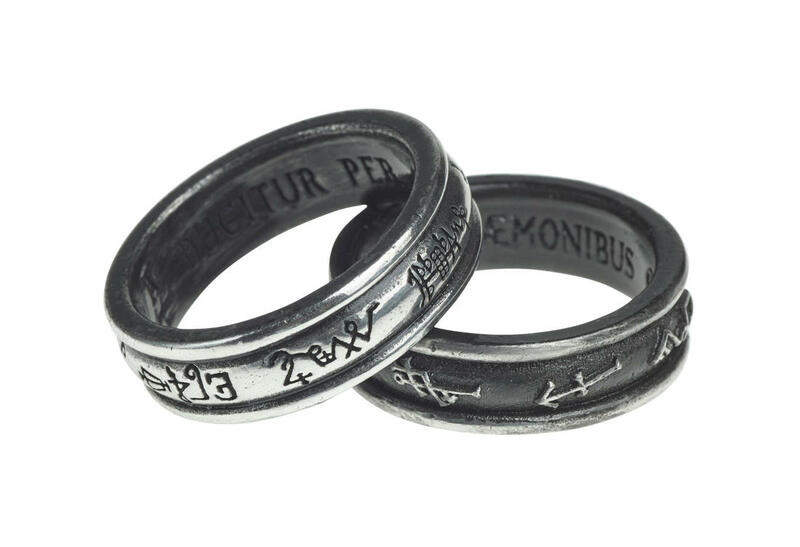 Each ring is inscribed with seven signatures one with angels and the other with demons. 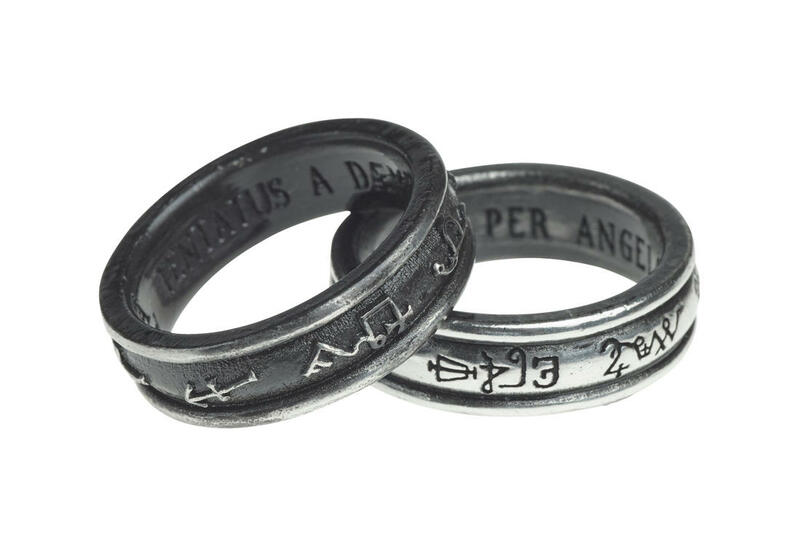 The silver tone bears the seven traditional Archangels; Michael, Gabriel, Camael, Raphael, Sachiel, Anael and Cassiel. Inside is engraved DUCITUR PER ANGELOS of ‘Guided by Angels’. 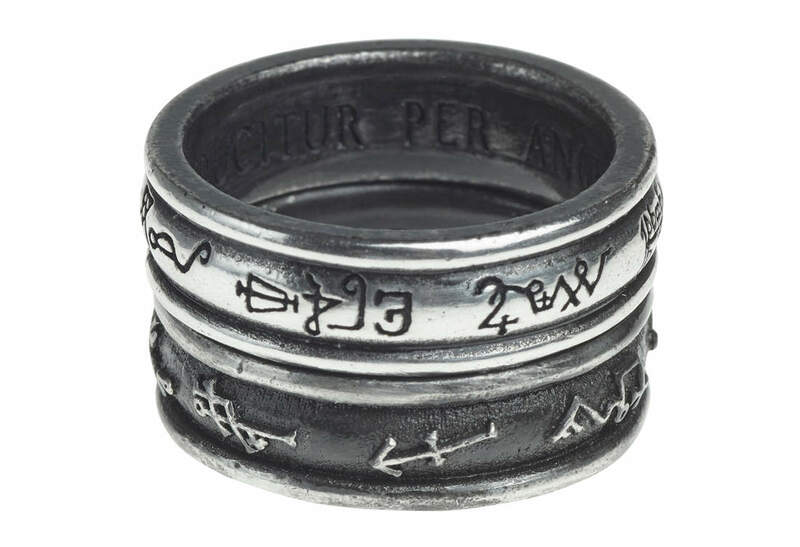 The black ring bears the seven Medieval spirits or demons; Dagon, Azervial, Adatiel, Cassiel, Camriel, Adnachiel and Anael. 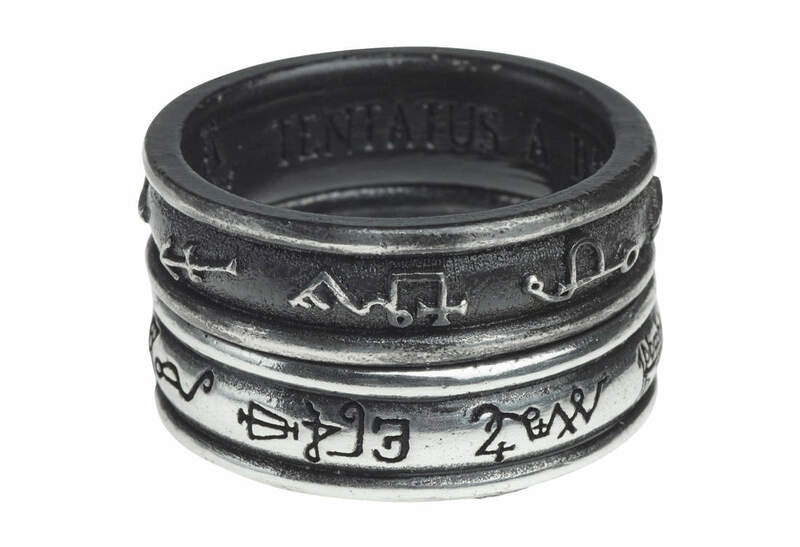 Inside is engraved TENTATUS A DAEMONIBUS or ‘TEMPTED BY DEMONS’. Each measures approximately 0.28 inches high, 0.94 inches wide and 0.94 inches deep. They are made of fine English pewter one plain and one blackened. By Gothic Alchemy.